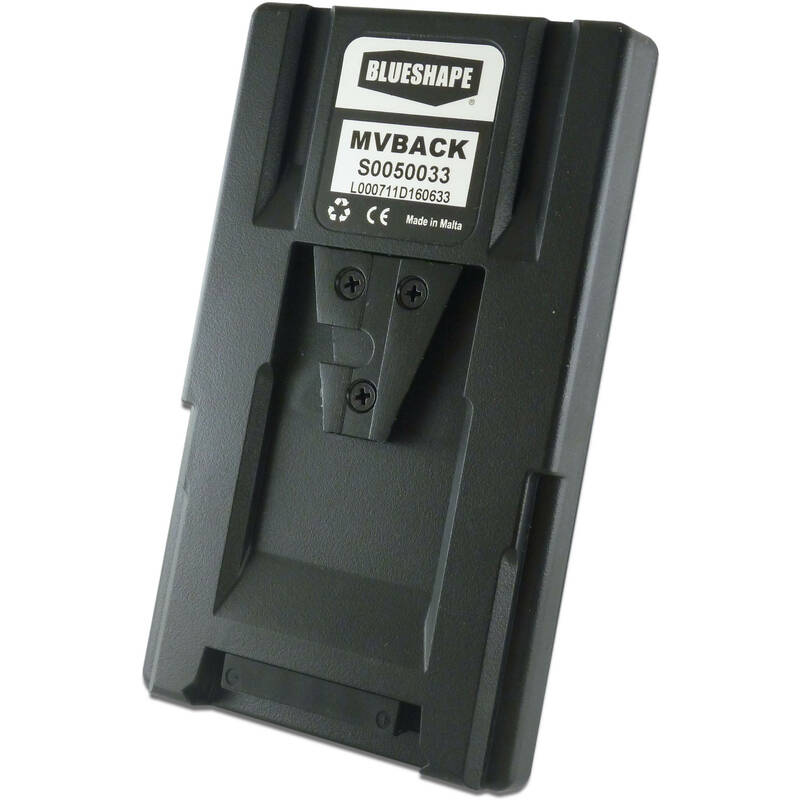 The MVBACK Backplate Adapter for V-Lock Installation from BlueShape easily fits the MVFULL or any other plate of the series, transforming it into a V-Plate to V-Plate adapter. This allows for the multi-port feature of any multi-voltage plate to be extended to any existing system already provided with a V-Mount solution. The plate is provided with a proper snap-on connector for simplified user installation. Box Dimensions (LxWxH) 6.75 x 3.7 x 1.5"